How many times have you identified a new prospect, explained your products or services, and quickly grabbed a new client for your business? It happens, but more often than not, it takes time to convert a prospect into a sale. We face the choice of letting go of a prospect (not a good idea), or staying in touch with hopes that we can gradually persuade them. Drip marketing aims to accomplish that goal. We call it “drip” marketing because we don’t flood a prospect’s inbox with marketing messages; we gradually drip them out over time. Drip marketing offers the opportunity to build a good reputation and a trusting relationship with prospects. Over time, you become a household name, and prospects are more likely to convert into clients. So how does drip marketing work? Follow these five steps to craft content that will gain and hold the interest of your prospective clients. Create a great first impression. Your first contact with a prospective client should resonate with them enough that they will be open to further contact. Your goal is not to convert them into a client at this point; in fact, if you push too hard, you could turn them off entirely. Demonstrate your knowledge, or the worthiness of your products, and leave it at that for now. Create balanced messages. Reveal your expertise in layers, rather than bombarding a prospect all at once with everything you know. Share your personal side; people prefer to do business with people they like. Avoid hard-sell tactics, because those can be annoying, but do ask your clients to follow through by visiting your business or calling for an appointment. To sum up, your messages should offer a healthy balance of value for your prospects, showing your personal side, and encouraging recipients to give you their business. Personalize messages, when possible. Most prospects would prefer to read messages that are tailored to them specifically. Using names in the subject lines of emails is the easiest way to accomplish this goal. You might also structure blogs or social media posts around questions that your customers often ask you. Vary your methods. 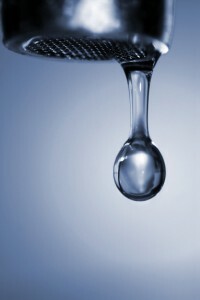 It’s called drip marketing because you continually “drip” your marketing efforts. Avoid monotony, and create more appeal, by varying your methods of contact. Alternating contact via email, social media posts, blog posts, and videos can capture the interest of your prospective customers without boring them or coming across as too pushy. Use an automated system. Manually sending emails could become an arduous process that takes up too much of your valuable time. An automated service allows you to upload email templates that will be personalized and sent to prospects on a schedule that you establish. Now that you understand how drip marketing works, give us a call or shoot us an email if you have further questions. We can help you structure your drip marketing campaign so that you provide real value to your prospects, while building relationships that will launch your business to success. Next Article »Are You Ignoring Your Existing Clients?